Pick Analysis: Getting on the field at linebacker for Alabama isn't easy for a young player. Anderson was a five-star recruit, but redshirted in 2012 and played just a bit in 2013 (five tackles, 1.5 sacks); he considered leaving the program. He received more time on defense in 2014 (25 tackles, 8 TFL, three sacks with no starts) and was a key reserve pass-rusher as a junior (11.5 TFL, six sacks) before finally getting the starting gig in 2016. Anderson didn't receive all-conference notice from league coaches, but the media voted him first-team all-conference (61 tackles, 19 TFL, nine sacks, three pass breakups, one interception for a touchdown). 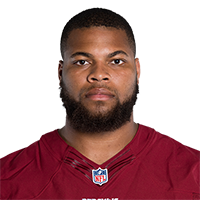 Published: April 28, 2017 at 09:00 p.m.
Redskins legend Clinton Portis announces the Washington Redskins selection of Alabama linebacker Ryan Anderson in Round 2 with the No. 49 overall pick in the 2017 NFL Draft. Published: April 28, 2017 at 08:42 p.m.
NFL Media?s Bucky Brooks, Matt Money, and Lance Zierlein give Ryan Anderson a B draft grade. Published: April 12, 2017 at 08:37 p.m.
Everything you need to know about Alabama linebacker Ryan Anderson. Published: March 30, 2017 at 04:04 p.m.
Alabama linebacker Ryan Anderson goes through drills at the 2017 NFL Scouting Combine.